1. Why do you want this job? Businesses want to hire ambitious people who are enthusiastic about their brand; so this is the impression you need to convey when answering this question. Firstly, you need to make sure you’ve familiarised yourself with the job description and researched the company in order to answer this question with any substance. Your answer should include some responsibilities from the job description along with reasons why you would enjoy them and more importantly, why you would be good at them.You should also show an interest in the type of work the firm does and stress that you want to progress within that industry. You can also flatter them slightly by praising the firm’s reputation as somewhere that is a coveted place to work. 2. Why are you leaving your current job? The key to answering this question is to speak highly of your current firm, discuss what you’ve achieved there and explain that they simply can’t offer you what you need at this stage of your career. Never badmouth a current or previous employer in an interview; (even if they are terrible!) it’s extremely unprofessional and will often leave the interviewer with the impression that you could be difficult to work with. 3. Give me an example of a task you found challengingInterviewers do not ask this question to literally find out which tasks you find challenging.The real motive behind the question is to find out how you deal with challenging situations. The idea here is to give an example of a challenge you’ve faced in work previously and show what actions you took to meet the challenge and turn it into a positive situation. Do Say: “In my previous role I was faced with a disruptive team who were unmotivated and not very customer focused which was damaging our sales figures. I introduced new customer service incentives and gave a series of one-to-one training sessions which was done. This question is similar to the previous one, as the interviewer really wants to know how you deal with your weaknesses as opposed to simply what they are. It’s best to mention a fairly minor weakness and then demonstrate how you overcome it to ensure it doesn’t affect your work and also what are you doing to strengthen your skills in that area. This is probably the most important question, and one that will almost certainly be asked in every single interview you attend, so you need to have the answer ready for this one.It’s important to focus the answer around what you can offer the client – not what you want from them. Essentially you need to explain how your skills and experience match the requirements on the job description and how that will ultimately benefit the organisation.Prepare by making notes on the job description around how you meet the requirements and how you can benefit the company by being there. open ended nature, but it actually gives you a great opportunity to show how ambitious you are. This is another question where the interviewer is looking to gauge your levels of ambition but is also looking for a degree of realism and knowledge of the industry.Your answer should be ambitious but realistic to show that you’re driven but you have an understanding of the speed of career progression and a degree of modesty.You should also look to tie the job vacancy into your answer to show how it will help you progress to where you want to be. 8. What’s the worst mistake you’ve ever made? Everybody makes mistakes; it’s nothing to be ashamed of.But how you handle your mistakes is what can really set you apart from other candidates.When answering this question you need to pick a fairly minor work related mistake and describe exactly how you acted to rectify it and what you have consequently learnt from it. 9. How do you handle difficult colleagues? Most jobs will involve you working closely with one or more people, so it’s understandable that employers will want to know how you interact with others.In an ideal world, everybody in a team would get along but sometimes colleagues can display disruptive behaviour that threatens the completion of tasks, so it’s important you can show how you deal with them in order to get the job done.Your answer should ideally be example based and explain how the colleague’s actions were having a negative impact on the job at hand, and how you acted diplomatically to alter the person’s behaviour and get the team back on track. 10. Do you ever disagree with your line manager? line manager; that you handle it with tact, reason and diplomacy in order to reach a solution that benefits your organisation. 11. How would your current boss describe you? This is a fairly open-ended question that can be tricky to answer, but the key point to remember is that employers generally hire staff to help them in the running of their business.So when answering the question you need to describe yourself as somebody who is so helpful that you are quite literally critical to the running of the business. 12. Are you currently pursuing any other job opportunities? Somebody with lots of interviews elsewhere and interest form other companies is attractive to an employer because someone who is in demand is usually good. Having more opportunities gives you more leverage to negotiate with when it comes to offer time. If an interviewer knows that you are about to interview with one of their competitors; then they may offer you a higher salary to try and tempt you away from the rival firm. A seemingly simple question but the answer actually requires quite a lot of thought and structure.Try to keep your answer mainly work focused, discuss your background and then a bit about your career aspirations in a manner that ties in with vacancy in question.You can include a bit about your life outside of work if you like but keep it brief. 14. What are your salary requirements? Although I would never suggest bringing up salary requirements in an interview without being prompted, it’s perfectly fine to discuss salary if the interviewer asks about it directly.The key to answering this question is to research market rates beforehand and have a clear idea of the salary you can command - you will not impress anybody by providing a wild guess.Looking through job websites and speaking to recruitment consultants should give you a rough idea of the salary you can achieve. It’s up to each individual to decide where they want to pitch their salary requirements but make sure you are realistic and stay within any pre-mentioned range. 15. Are there any elements of your current/previous job that you dislike? It’s quite natural that you will dislike certain elements of previous jobs – but employers really want to know more about how you deal with those dislikes to maintain good performance in the role.Ideally you should pick a fairly common and minor dislike to demonstrate how you work around it and make sure it doesn’t have a negative effect on you or the business. 16. Can you explain this gap/short-role in your CV? Two things that are quite hard to hide in your CV (without lying) are gaps and short roles. Employers don’t like them because they can sometimes indicate that candidates have been fired from a role or have taken a lot of time out of work.So where possible, try to avoid gaps by adding details of what you were doing between the roles (maybe you went travelling or completed a personal project) and if you have a very short role (a few weeks etc.) that doesn’t add any value to the CV, then maybe consider omitting it.However, if you can’t avoid this question then try to come up with a good positive explanation that makes you look proactive and competent like the below. This is a fairly typical question for candidates applying to customer facing roles and one you will need to answer well in order to show your abilities in turning negative situations around and keeping your customers happy. Ideally you should explain a time when a customer was irate or behaving rudely towards you (ideally the root of the problem should have been caused by someone other than yourself to avoid looking incompetent). Then describe how you reassured the customer and rectified the situation by delivering a good service or product sale etc. Do Say: “In my current job I was faced with a situation where a very important client wanted a refund for some project work that had gone wrong due to some errors by the delivery team. Providing a refund would have meant quite a big loss of revenue for the firm but not providing a refund could mean a very upset client and potential lack of future business from them. So after much discussion with my director and team members I decided not to refund the work but to provide the next project free of charge. This did cost the firm initially but it allowed us to salvage our reputation with the client and secure further work from them in the long run. 19. How do you respond to criticism? Managing staff can often be a difficult task for employers so your answer to this question should show that you are easy to work with and that you take negative feedback on board.Preferably your answer should demonstrate the fact that you not only do you handle criticism well, but you use it to improve yourself and build your skill set. 20. If you were an animal… which animal would you be? Although this is quite an unusual question, it is quite well known amongst hiring managers so it could crop up.The actual animal you decide upon isn’t really relevant – the question is just designed to throw you off track a bit and make you think on your feet. So pick any animal and describe why its qualities match yours in a way that relates to the job you are applying for in a well-structured manner. 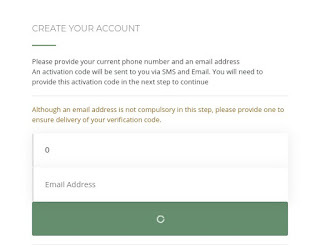 Recently there is a current job empowerment known as PYES meaning Presidential Youth Empowerment Scheme, the problem is that the portal is currently not connecting. I have been trying to register on portal for couples of days but not going through. I suggest there is technical problem on the portal programming. Applicants Must Complete a guarantor's form. Application For the presidential youth empowerment scheme are to be made via this portal and the resources. It is important to note that no registration fees will be required during the application / selection process. Please be aware of fraudulent entities who may try to prey on honest citizens. 1. Nationality: Applicants must be a Nigerian citizen by birth. 2. Age: Applicants must be between the ages of 18 and 22 years for non-tradesmen/women, 18 and 25 years for tradesmen/women. Those applying as assistant chaplains/assistant imams and drivers must be between the ages of 18 and 28 years. 3. Marital Status: All applicants must be single. 4. Height: Minimum height is 1.66 meters or 5.4ft for males and 1.63 meters or 5.3ft for females. 5. Medical Fitness: All applicants must be medically fit and should meet the Nigerian Air Force medical and employment standards. 6. Attestation Forms: Applicant's attestation Form must be signed by a military officer from the same State as the applicant and not below the rank of Squadron Leader in the Nigerian Air Force or equivalent in the Nigerian Army, and Nigerian Navy or a Police Officer of the rank of Assistant Commissioner of Police and above. Local Governments Chairmen/Secretaries, Magistrates and Principals of Government Secondary Schools from applicants' state of origin can also sign the attestation forms. The signee’s passport photograph and either photocopy of drivers licence, international passport, national identity card or permanent voters’ card must be attached. In addition, applicants are to come along with their Local Government Indigene Certificates to the Zonal Recruitment Centre and Final Selection Interview Exercise. a. Two recent passport size photographs to be stamped and countersigned by officer of appropriate rank specified, Local Government Chairmen/Secretaries and other specified officers in Paragraph 6. (1) Birth Certificate/Declaration of Age (Any age declaration done later than 4 years to this exercise will not be acceptable). 8. Any applicant suspected to have impersonated or submitted false document(s) shall be disqualified from the selection exercise. Also, any false declaration detected later may lead to withdrawal from training. Such applicants will be handed over to the Nigeria Police for prosecution. The Nigerian Air Force will not entertain any enquiries in respect of applicants whose applications have been rejected. Interested applicants are to note that the online registration is free of charge. Applicants are required to fill valid email addresses and Telephone numbers in the appropriate spaces provided in the application form. 9. On completion of the application forms, applicants must print out the Acknowledgment Slip. d. Ilorin: 303 MAG - Nigerian Air Force, Ilorin. 11. Non-Tradesmen/Women: Applicants applying for Non-Tradesmen/Women must possess a minimum of 5 credits including Mathematics and English Language in SSCE/NECO/GCE/NABTEB. In addition, applicants are also required to possess their school’s testimonials. y. Driver/Mechanic: SSCE/NECO/GCE/NABTEB and Trade Test certificate, valid driver's license and practical experience. Online Registration starts on 12th January 2019 and closes on 23rd February 2019. Candidates that qualify after the registration process would be invited for Zonal Recruitment Exercise which would hold from Saturday, 9 March – Saturday, 23 March 2019. Also, candidates that qualify after the Zonal Recruitment Exercise would be invited for Final Selection Interview Exercise, after which the list of successful candidates would be published for Basic Military Training. 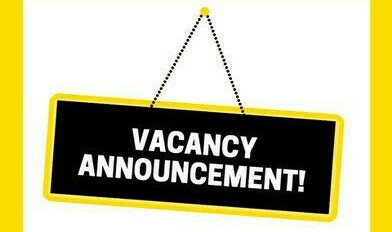 All qualified Nigerians who currently hold an OND, HND or the BA/BSc are advised to apply on the commission’s website. According to the FCSC in a statement released to in Abuja, location includes Abia, Abuja, Adamawa, Akwa Ibom, Anambra, Bauchi, Bayelsa, Benue, Borno, Cross River, Delta, Ebonyi, Edo, Ekiti,Enugu, Gombe, Imo, Jigawa, Kaduna, Kano, Katsina, Kebbi, Kogi, Kwara, Lagos, Nassarawa, Niger, Ogun, Ondo, Osun, Oyo, Plateau, Rivers, Sokoto, Taraba, Yobe, Zamfara . Job Field Administration / Secretarial General. Job Type: Full TimeQualification: OND, HND, BA/BSc. How to Apply: Qualified Applicants can access Application Forms on-line on FCSC Website: Federal civil service . FCSC Headquarters, 4 Abidjan Street, Wuse Zone 3, Abuja.For avoidance of doubt, the application form is free. Completed Application Forms must be submitted where collected on or not later than six (6) Weeks from the date of this Publication (Advertisement). All Application Forms should be submitted in a sealed envelope clearly stating the Ministry, the post applied for and addressed to the: Hon. Chairman, Federal Civil Service Commission, 4 Abidjan Street, WuseZone 3, Abuja. The FCSC is an executive body in Nigeria that has the authority to make appointments and transfers and to exercise disciplinary control over all Federal Civil Servants. No officer can be appointed into the Civil Service without authorization from the Federal Civil Service Commission if they have been convicted of a crime, or had previously been employed in the Government Service and had been dismissed or asked to resign or retire. Applicants (Preferably Females) must be able to write and have good communication skills. Application Deadline: 19th January, 2019.